Hi, I’m Natalie a 30 something Dominican-American adventuring through life. 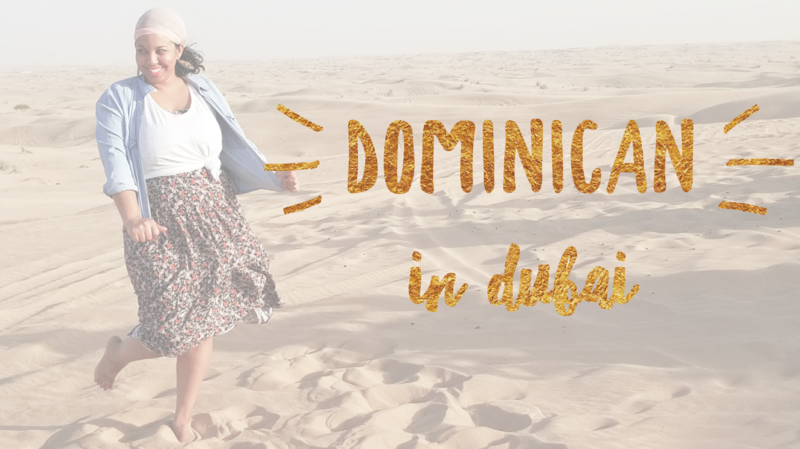 Welcome to Dominican in Dubai, where I’ll be sharing all about my new life in The United Arab Emirates. I’ve relocated to Dubai seeking adventure, yummy foods and the opportunity of a lifetime. Are you a teacher looking for tips and tricks to incorporate into your classroom? Then join me as I learn and grow in my career as an international educator. Click on the Teach category to find stories about my experiences in an overseas classroom and more. Follow along while I explore the desert and all it has to offer. I want to take you with me on all of my Wanderlust adventures in the Middle East and beyond. As a teacher, I get a number of holidays that I plan on filling with new stamps on my passport. Stay tuned for pics, vids and more on all the new sites I come across. Where should I head to first? I am a major foodie! New foods and flavors await! If you enjoy foods as much as I do then I hope you check out that Eat category for stories on all the different dishes and venues I’ll be trying between teaching and wandering. I’m hoping they’ll be finger-licking good! As I live out my dreams I’ll always encourage you to chase yours! Thanks so much for stopping by. Remember to LIKE, FOLLOW, and SHARE.